Despite the comprehensive airborne campaigns by NASA’s Operation IceBridge, the ability to project the future response of ice sheets to climate change will continue to be limited by observational data. This project will employ cutting-edge adjoint based numerical methods for assimilating IceBridge and other field data into a thermo-mechanical ice sheet model with higher order momentum balance. Working in collaboration with NASA scientists at GSFC, a dense array of IceBridge data will be augmented with unique in situ borehole and surface observations to accomplish a level of data assimilation never before achieved in ice sheet model simulations. This work will provide the scientific community with model-output fields for critically important parameters absent from airborne and satellite surveys such as ice temperature, basal thermal conditions, and the ice thickness in regions between IceBridge flight lines. This information will substantially increase our understanding of ice sheet sliding dynamics. 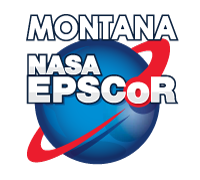 This funding will also create the University of Montana Snow Ice and Climate Group: an interdisciplinary research cluster specializing in physical and computational science applied to the cyrosphere. Interdisciplinary faculty and student researchers will come together in common space to exchange ideas and approaches while working side-by-side on cutting-edge research problems. The experience and momentum gained from this project will establish this group so that it can compete for follow-up funding and perform cutting-edge and transformative research.